Assassin’s Creed: Rogue was a surprisingly great game last year, launching in the shadow of the far inferior, current-gem exclusive Unity. 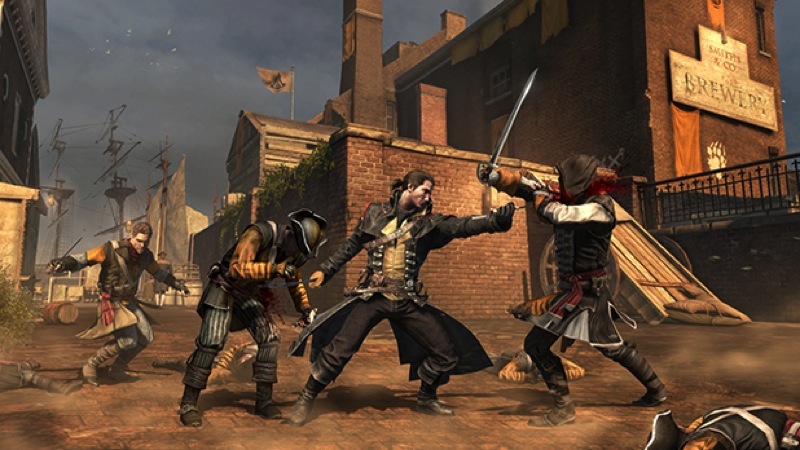 The previous-gen title struggled to make noise on the PS3 and Xbox 360, and PC players were left out when it came to the concluding chapter of the American saga of the franchise. Rogue has, however, finally made its way onto PC, and it’s an equally surprising port to say the least. Original review by Zoe below. Skip down further for PC specific critique. The last generation console’s Assassin’s Creed game hasn’t been getting as much attention as the shiny new one. This a crying shame. 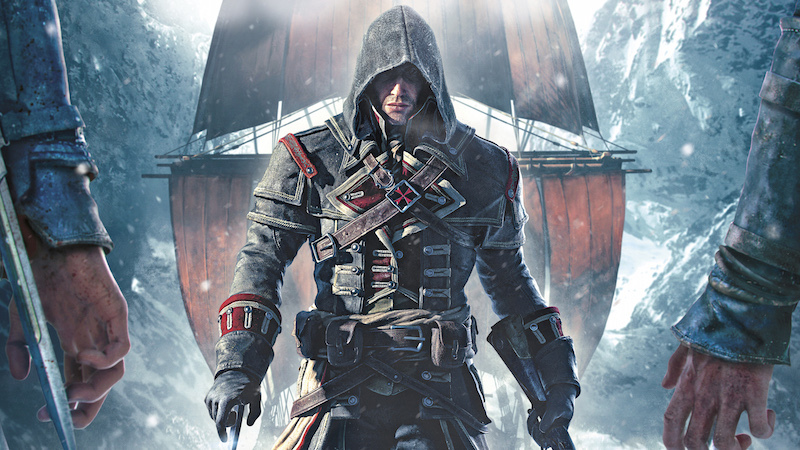 With Assassin’s Creed Rogue, Ubisoft has reached the pinnacle of the Assassin’s Creed experience, and even made me feel better about previous iterations. 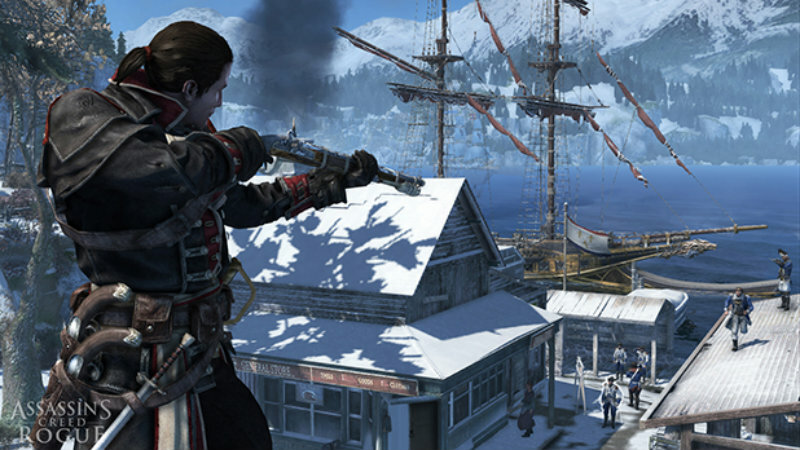 Assassin’s Creed Rogue ties up the America Saga, rounding out what happened between Black Flag and Assassin’s Creed III. The story follows Shay Patrick Cormack as he begins his stabbing journey as an Assassin, working together with the likes of Adewale and Achilles. Shay is a much more cynical character than previous assassins, questioning the value of the brotherhood’s actions and even having personality clashes with some high ranking members. 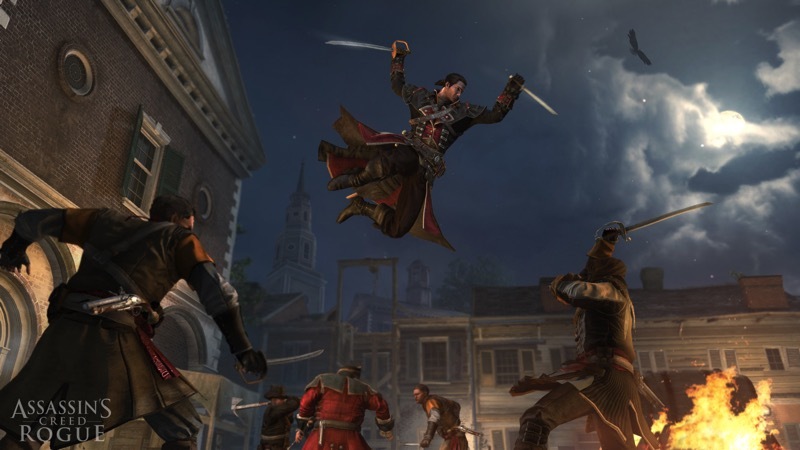 After an event that leads to the death of innocents, Shay renounces the assassins, going rogue and eventually joining up with Templars, including Haytham Kenway. 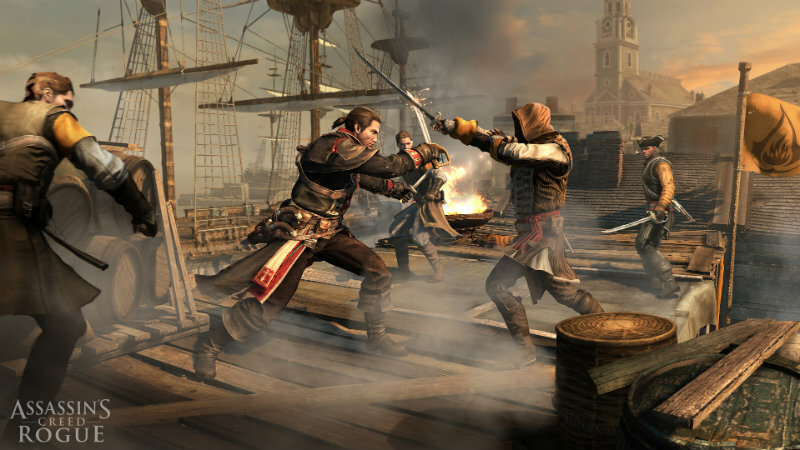 There are references to Haytham’s father, as well as his son, Connor, and it helps to show the characters in a new light. Just as many of us have questioned the motives behind and implications for actions taken in Assassin’s Creed games, these characters are the most insightful and interesting – offering deeper questions while still retaining enough personality to avoid it becoming a morality quest like Assassin’s Creed III. Without giving any spoilers, it is this story and the characters within it that make the game so worthwhile; these aspects elevate the experience to new heights, giving the franchise something that it so desperately needed – believable characters who are more than mindless killers. The ending of the game is superbly executed, perfectly setting the scene for Assassin’s Creed Unity and offering an ending that has stuck with me long after the credits finished rolling. But it’s not just the story or characters that show Ubisoft’s learning curve in this iteration of Assassin’s Creed. The gameplay is also excellent, with tons to do in a much more varied way. By combining the sailing and exploration of tiny ports with a sprawling rendition of New York, players get the best of both an urban and rural experience. There are a variety of areas to capture, from forts and gang hideouts to settlements and warehouses. Resources can be used to upgrade your ship, and there is even an entire optional strategy game in the form of a naval campaign with ships under your control. 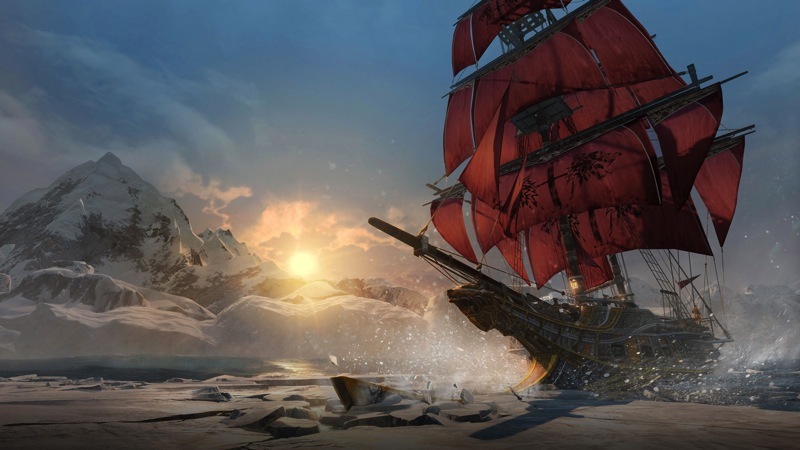 There are tons of collectibles ranging from hidden treasures and parkour high points to new shanties and secret puzzles. These innovations are best exemplified by the hunting of assassins. Once you go rogue, you will notice that assassin’s are amazing at hiding and stabbing you from out of nowhere. Shay needs to use eagle vision to find these stealthy killers; assassination missions now include defending the target from assassins hidden throughout the map. These battles aren’t easy, but they are incredibly rewarding when you feel like the best sneaky stabber of the bunch. Combat is still the same, unfortunately. 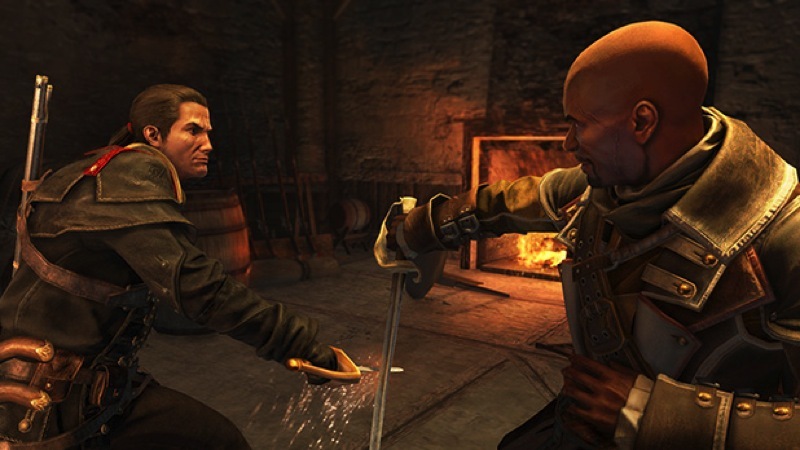 I still find this one of the greatest let downs of the Assassin’s Creed franchise – combat becomes a boring combination of waiting for attacks, countering, and occasionally kicking a heavy guy first so I can break his guard before killing him. It’s all very uninspired and feels particularly clunky after playing similar games that execute this gameplay aspect so well. Another element that seems to fall short is the parkour. While much of it is excellent and there is nothing like running across New York rooftops or synchronizing an area from the top of a shipwreck, the contextual movements can often feel sluggish or lead to unintended actions. I had numerous encounters where I wished to jump across to a tree branch in order to assassinate a target only to jump right in front of the target instead. Not ideal. A final point of criticism would be the loading times. It is very clear that this game is being played on old generation consoles – loading times when moving from one area to the next, or between sequences, could feel long. While this was to be expected, it got rather frustrating after desynchronizing from a mission only to have to wait in order to try again. It’s understandable why loading times are so long, though – the environments are truly massive. Each area feels huge, with tons to do, explore and discover. Exploration is further rewarded by offering unique upgrades through blueprints that can only be found in obscure areas. Want the best possible cannon or mortar for your ship, you will need to unearth the plans in a remote area. Beyond simple exploration, there are forts to take over and settlements to claim, each with unique victory parameters. Add to that convoys to rob and man o’ wars to conquer and the game’s scale seems to just keep growing. Each area is also incredibly well rendered. Sure, it’s still clearly old generation – foliage doesn’t look right up close and shadows on faces look like blurry messes, but the actual set pieces and textures are excellent, making the most of the older console’s power. There are some stunning visuals, particularly when sailing towards the Northern Lights or even into a blizzard. The audio is similarly lovingly created, from a dynamic sound track to some excellent voice talent. From Shay’s Irish accent to James Cook’s Scottish brogue, each character offers emotional and compelling performances. The controls are fairly familiar now, having played Assassin’s Creed games in this form for a while. New weaponry is fun to experiment with, although I still found myself using the usual tactics that I’ve used in previous titles. That said, when I did mix it up with some of the new toys, I found that I had a lot more fun and a much more varied experience. The out-of-Animus experience is also fun, although less light-hearted than Black Flag’s. Again, you play as an employee of Abstergo Entertainment, but from the start you are more aware of some conspiracies at play. While wandering the halls collecting abandoned tablets and hacking other people’s computer terminals, Ubisoft has filled the present day experience with tons of Easter Eggs, nods to gaming industry controversies and clues to future projects. It’s never heavy handed, though, and if you want to completely ignore it, time spent out of the Animus will be limited so that you can jump straight back into the parts of the game that you enjoy. So how does sailing fare on PC? So for a change, Rogue actually worked straight off the bat. A little audio bug forced me to reboot the game earlier on, but it was nothing but smooth sailing from then on. The game never dipped below 60FPS on my personal desktop, which has an Intel 2600K and GTX 970 powering it, and that wasn’t at all surprising. Testing the game on our more mid-range test bench yield similar results, with the game never really requiring much horsepower to keep the icy seas at a silky smooth framerate. At least, that’s the case at 1080p. Without a 4K monitor on hand or DSR support, Rogue refused to render at higher resolutions for testing. At least at the most common size the game ran admirably on out Fourth generation core i7, GTX 760 powered machine, averaging no less than 59FPS during the benchmark. The framerate never dipped below the 50FPS mark either, showing just how stable Ubisoft have managed to get the aging engine. If you find yourself needing to tone things down a bit though, there are more than a handful of settings to tweak. Texture details for different parts of the game can be changed, although you’re stuck with only one option for anti-aliasing. Again, Rogue also doesn’t seem to have support for Nvidia specific features such as Dynamic Super Resolution (DSR) or HBAO+. That’s a little disappointing for those with powerful towers, and I hope some support gets patched in soon. Otherwise Ubisoft can finally be proud with a PC port. Rogue may have take a few more months to eventually land on PC, but the results are worth it. If you were left heartsore by Unity last year but still crave a great Assassin’s Creed experience, Rogue is surprisingly one of the best the franchise has to offer. And with great performance like this, it’s the best way to play too.